So you just bought that dream laptop. Super-powerful. Amazingly thin. And so expensive that you have barely any money left for a bag to carry it around in. We’ve got you covered. We’ve taken a look at the best premium laptop bags on the market, and all of those picks are solid… and well over a hundred bucks. If you’re currently a bit short of funds but you still need protection for your computer and enough space to carry around a few incidentals, the bags below are still excellent choices. And all of them cost less than forty dollars—bring your lunch to work for a week or so and you’ll have it covered. We selected the best laptop backpack, messenger bag, briefcase, minimalist bag, and tote to be found at this price level. This dependable staple of online storefronts isn’t exactly glamorous, but it offers a selection of features that meets or beats its peers. Chief among these is a double buckle-and-snap retention system for the main cover flap—other budget bags will use a time-consuming belt system, or velcro that’s less reliable. 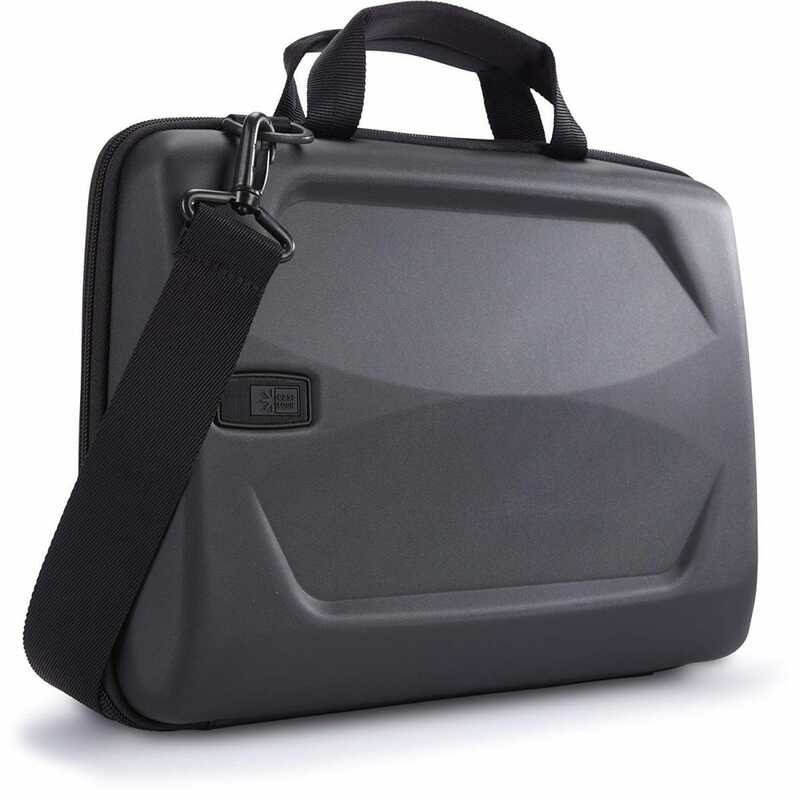 The bag is offered in different sizes to accommodate laptops from 13 up to 17 inches (yes, they still make those! ), with plenty of organizational nooks and crannies for your smaller gear. A full canvas build and both a carry handle (which is not a given) and a removable shoulder strap round out the package. The separate stitched pockets just beneath the flap are ideal for phones or portable batteries. This trendy-looking backpack borrows some of the features of more expensive travel-focused designs, like a laptop-tablet pocket that opens to the rear so you don’t have to juggle your other stuff around to pull it out. The DTBG model also gets extra points for being made from straight-up durable nylon instead of cheaper polyester. A particularly nifty trick is an external USB port: plug the internal cable into a computer or battery, and you can plug your phone into the port for a recharge without opening the bag. This design is surprisingly good-looking for only twenty bucks, and it doubles as a pretty decent carry-on bag, since it includes a strap for attaching it to rolling luggage. It can handle laptops with screens up to 15.6 inches. This button-down laptop bag from longstanding luggage maker Solo is a steal at just thirty bucks. That gets you a more respectable receptacle if your profession looks down on backpacks or messenger bags, while still keeping quite a bit of handy utility thanks to zippers instead of belt fasteners. 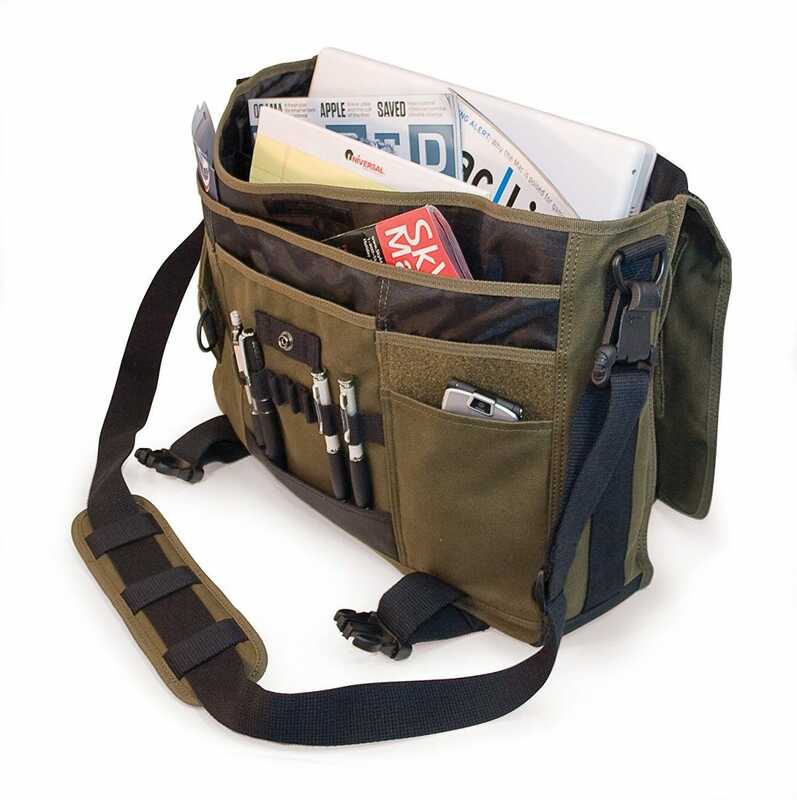 Two main pockets will hold your laptop (up to 15.6 inches) and either a tablet or a good chunk of paperwork, while the fold-out organization compartment handles your charger, phone, pens, and other necessities. We especially like the dual attachments for keys and/or charging cables. You won’t get real leather at this price point, but the back strap can slide over rolling luggage to make it an impressive travel companion. Note that at the time of writing, the navy blue model of this particular bag is the only one at this price point—the black or brown versions are almost twice as expensive. 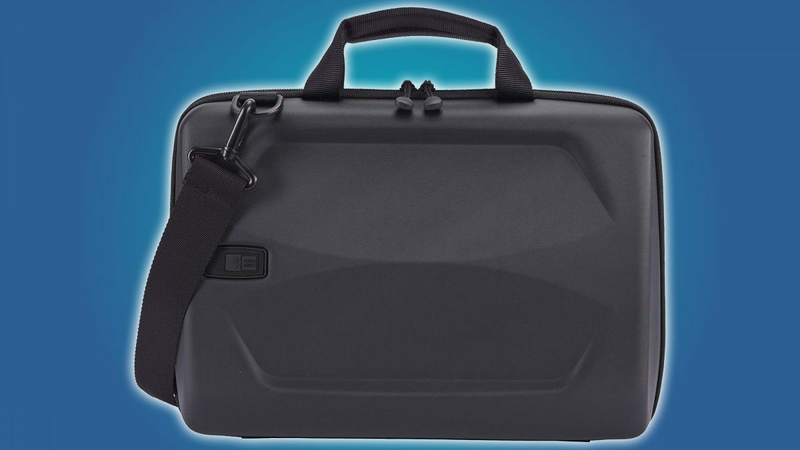 If you prefer to travel light and only want something to protect your laptop, this Case Logic bag is ideal. The hard foam construction can take some moderate punishment while protecting your laptop, and its fixed size keeps it small and manageable. Yes, PC models will fit inside too, so long as they’re no bigger than a 15-inch Macbook Pro. The bag can fold out without releasing its grip on your laptop, and the side pocket is just big enough to also hold a charger and a few other small accessories. The bag can be carried by hand or with a removable shoulder strap, and it doesn’t hurt that the contoured exterior looks great. 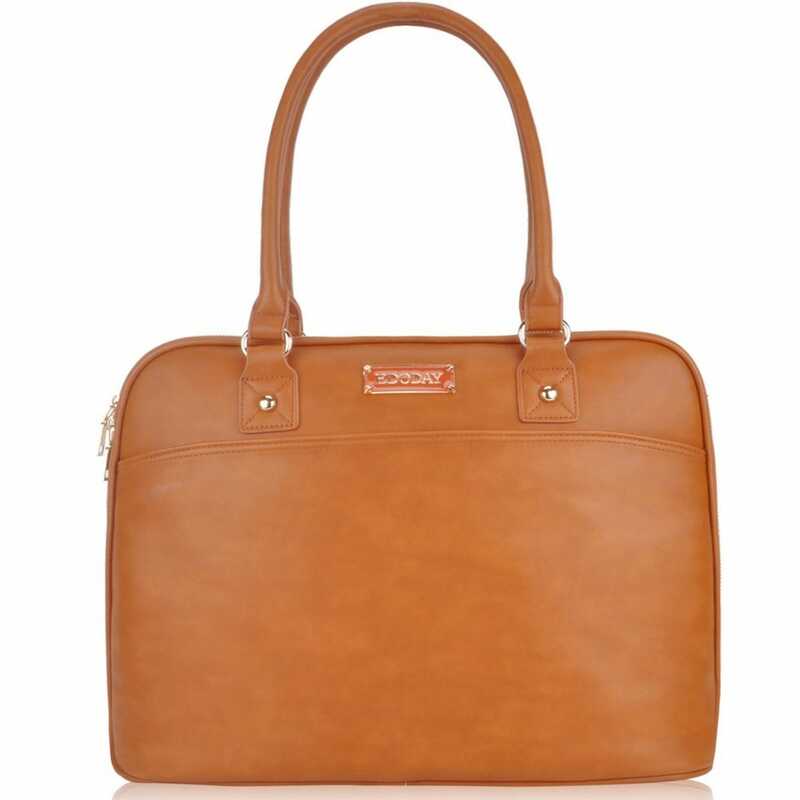 It’s hard to find a decent laptop bag that can also double as a purse at first glance, at least if you’re on a budget. 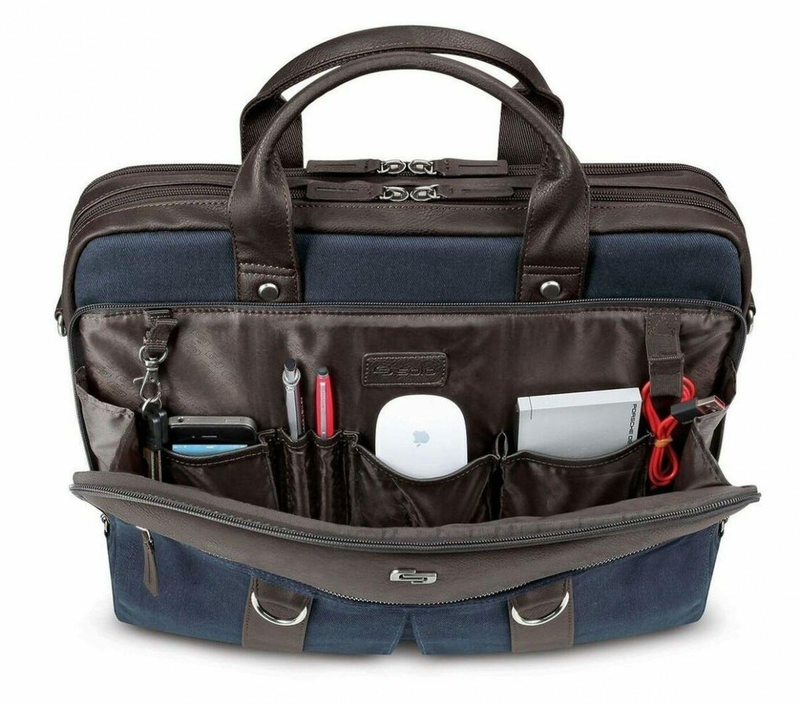 This I-can-certainly-believe-it’s-not-leather bag features a surprisingly roomy main compartment that hides a sleeve for laptops up to 15.6 inches, with interior side pockets for chargers, pens, and other goodies. 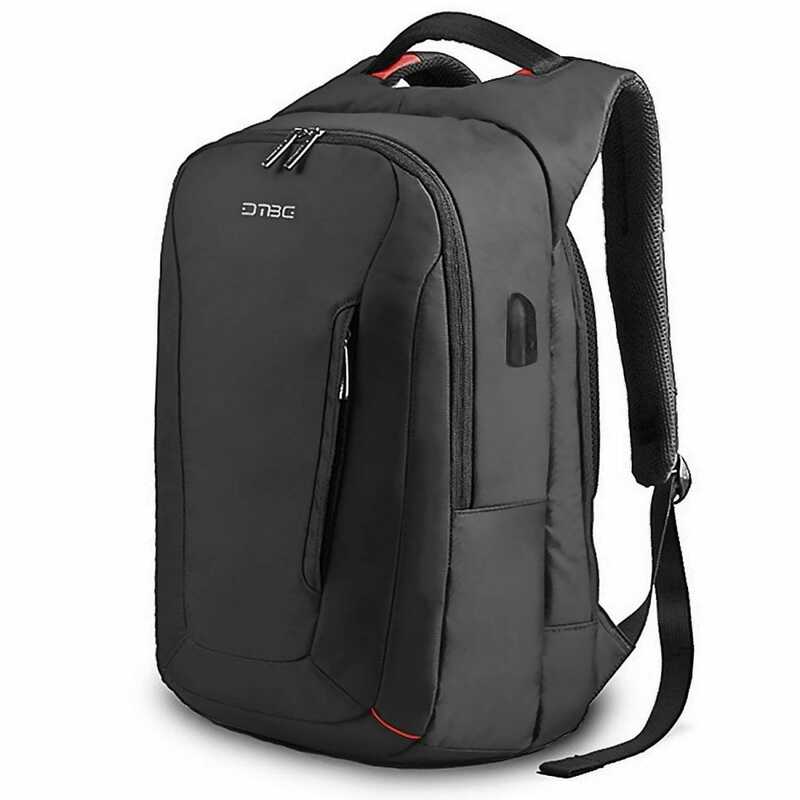 Unlike similar bags at this price level, it also has two handy exterior pockets: one with a full zipper and one with a snap. The long handles will only double as a shoulder strap if you’re particularly petite, but the multiple color choices are a nice plus. Lenovo Yoga C630 Review: Can Windows On ARM Handle A CES Roadtrip? The Yoga C630 is a portentous little laptop: not because it’s loaded with overpowered technology, but because it isn’t. It’s the new flagship of the WOS (Windows on Snapdragon) platform—full, Windows-powered laptops running on the ARM Snapdragon chips primarily seen in smartphones.